This post has been read 2574 times! The perfect American hamburger is simple. However, the food pornographer chefs of New York City love to overthink the hamburger. Virtually every hamburger written up in New York press is perverted beyond recognition. A good American hamburger is made from quality ground sirloin, with roughly 15% fat, or 85% lean. The patty should be flat, and not the thick round semi-meatball style. The key to cooking the ideal ground sirloin patty is to grill it on a pan. Do not touch it for five minutes, so that the Maillard Reaction can create the tasty brown crispy outer crust. If you stand over it, you will flip it too soon. Walk away. When the edges of the beef patty turn brown, then it should be flipped. It this point, any seasoning can be added, but only salt and pepper is required. Some prefer to have no seasoning at all. The toppings should me minimal. Just as a Porsche 911 does not need aftermarket rims, a hamburger made of quality beef needs no accessories. A hamburger is not a salad. It is not a breakfast item for mushrooms and bacon to be added. Cheese is an acceptable topping. 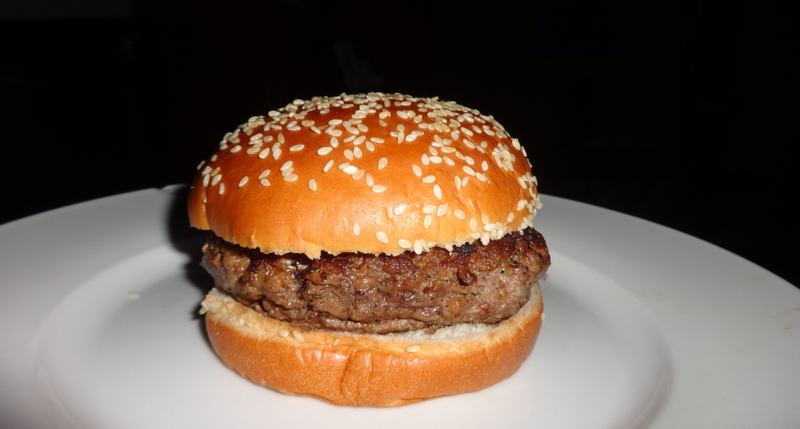 Lastly, the most commonly destroyed aspect of the hamburger is the bun. It should be a moist sesame seed bun. It should not be a potato dough bun, an English Muffin, or any type of bread with a French name. The best hamburger in the city, in my opinion, is made at Hillstone (Houston’s). Try the baked potato with your hamburger. This entry was posted in Cooking tips, Gripes, Hamburgers, fries, Reviews, Tip of the Week. Bookmark the permalink. Before they closed years ago, The Gatehouse had a very good burger. Suspenders was my favorite burger, but they closed back in May.